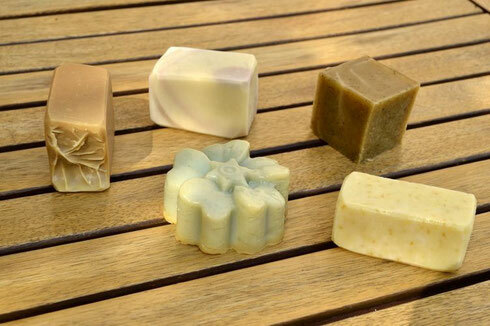 Handmade soap is easy in the making and wonderful in use, for the environment as well as for the skin. 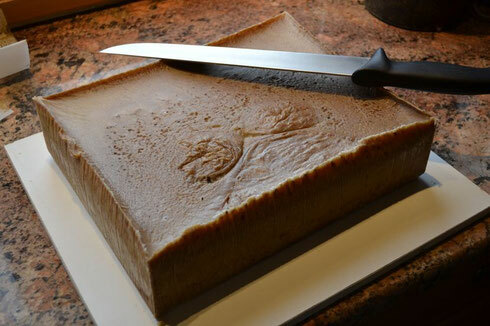 I chose to use only natural ingredients, such as vegetable oils (olive, sunflower, rapeseed, coconut, etc. 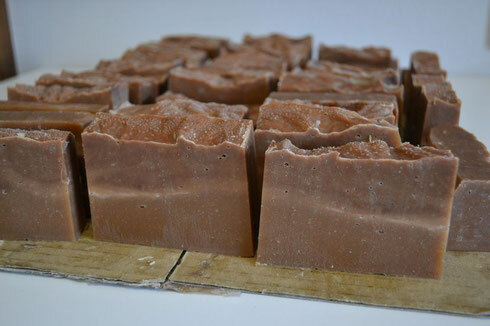 ), clay, plants, essential oils, without any artificial preservatives or colors. The ingredients I use are organic, as much as possible. 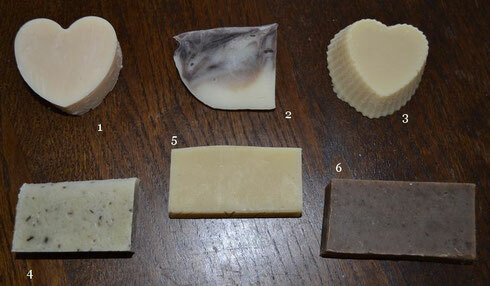 Clockwise from left: honey and wax soap (lemon scent), lavender soap, coffee soap, oat and sheabutter soap, mint soap. 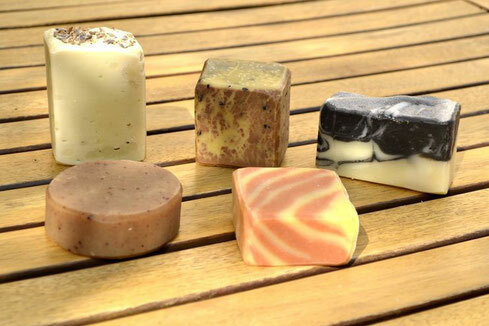 Clockwise : round spice soap (essential oils black pepper, ylang-ylang, clove), lavender soap, red dragon soap (with black sesame), black & white soap, catalan soap (red and yellow stripes). 1 : with beeswax and honey, 2 : marble with cocoa, 3 and 5 : with tumeric and camomile, 4 : with plants and green clay, 6 : with coffee. 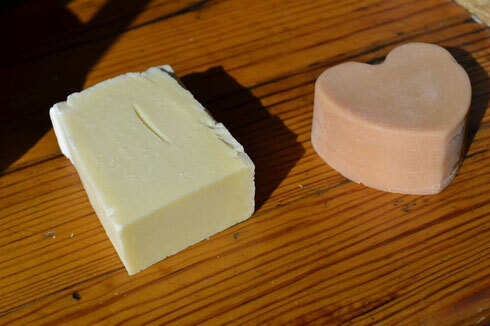 Soap made with 100% olive oil (without colours or fragrance, left) and soap "Madame", with essential oils. 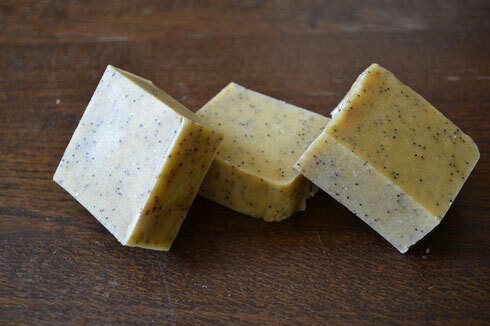 Samarkand Soap, with tumeric and poppy seeds for a light peeling effect - without fragrance. 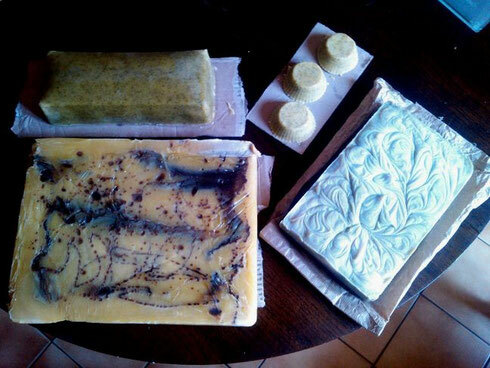 From top, anti-clockwise : mint soap, marble cocoa soap, 100% coconut oil (the only soap that foams with salted water), with a light green touch (spirulina).